Check back often for new offers and promotions from Spring Valley Vineyard. What better way to usher in summer than with these beautiful wines, all from the 2013 vintage. 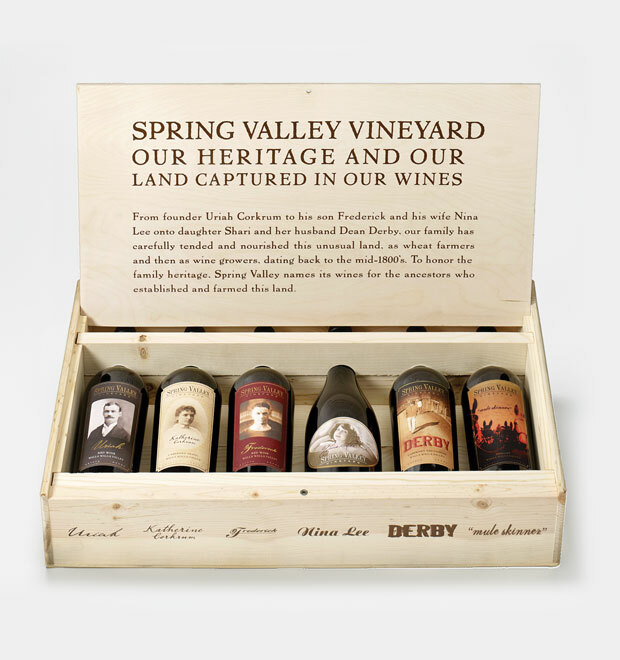 The bottles in this set are packaged in an elegant wood box. Perfect for a gift or for days spent taking in the great outdoors while manning the grill. Join our mailing list to receive periodic news about Spring Valley Vineyard, including exclusive offers on wine, advance notice of special events and new release announcements. We do not sell or share your information and will only send you information related to Spring Valley Vineyard. You may remove yourself from the list at any time.